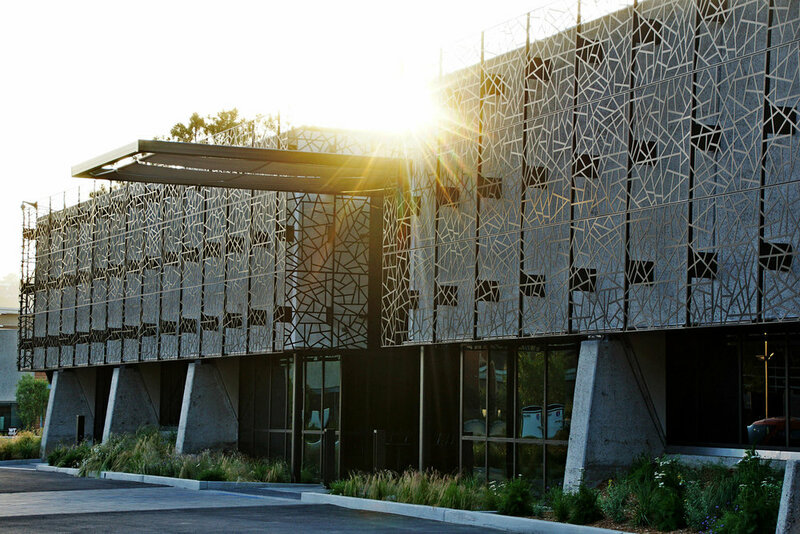 With every project we design at McCullough, we want to tell a story. 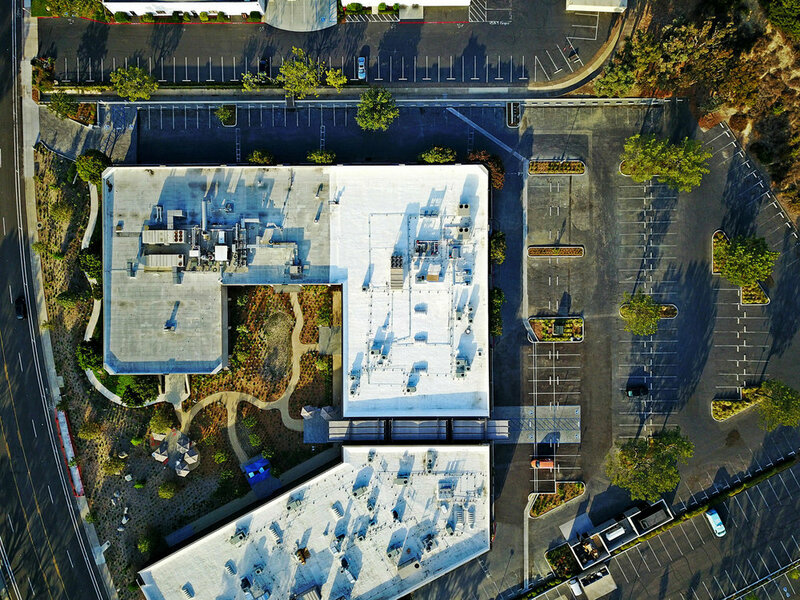 For this fast-tracked project with an aggressive budget, we turned this potential flood plain and dated Sorrento Valley property into a potent antidote to contrast with the seriousness of the pharmaceutical work conducted within its walls. We collaborated with McFarlane Architects to create a desirable space for the talent working in this Alexandria Real Estate Equities property. 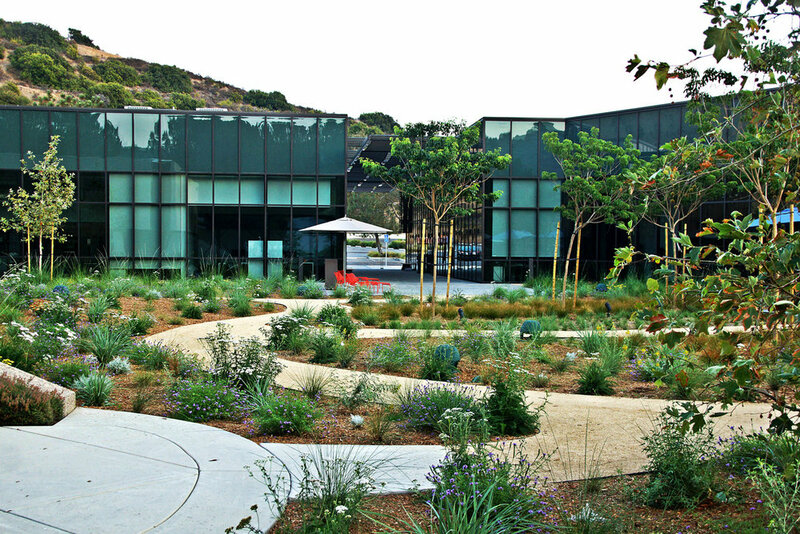 Senior Associate Benjamin Arcia took his vision to contrast the elegant minimalism of the renovated building with pathways that meander between puffy, cloud-like masses of native grasses and perennials. Constellations of colorful yarrow and verbena pop in front of the regimented, monochrome buildings. 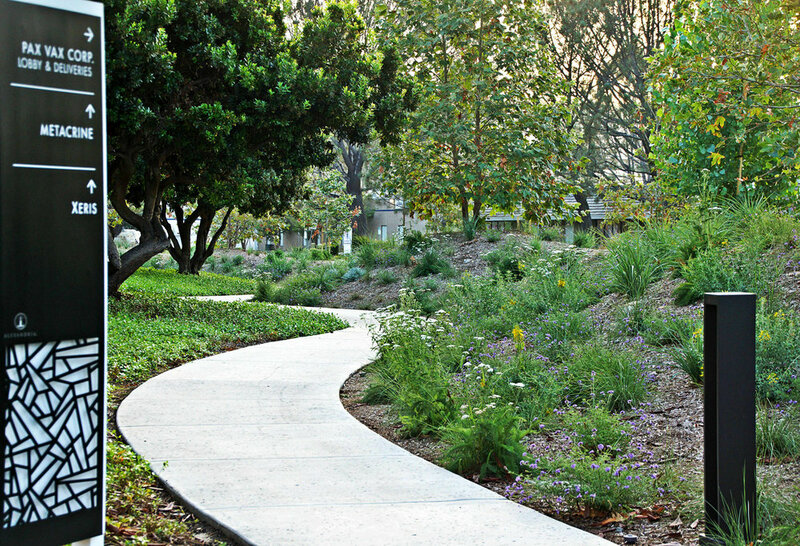 The plantings are loose, wild, natural and highly seasonal, creating a meditative atmosphere where the tenants can walk and be inspired by their quiet environment. 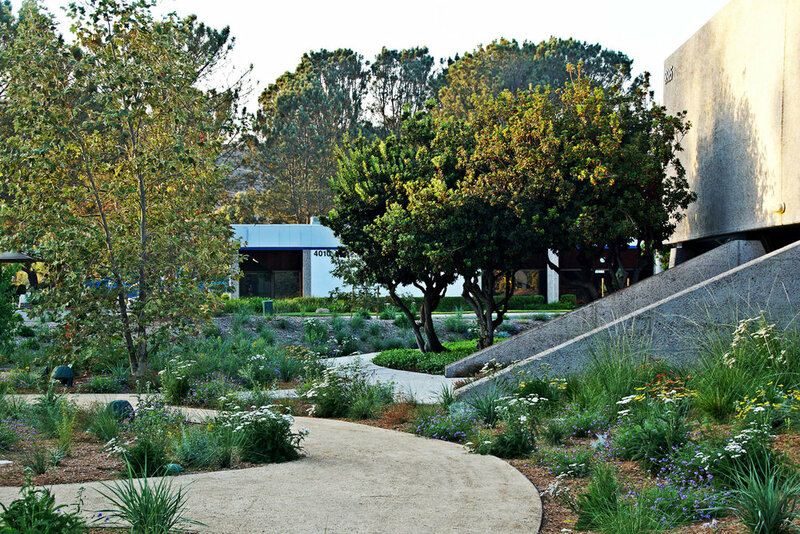 Creating beauty in the landscape is just a part of the formula for successful landscape architecture. Designing for the site’s physical features must be addressed. Sorrento Valley is well known for flooding, and this site lies within a flood plain. To protect the building from extreme flooding, we built a protective berm along the street. 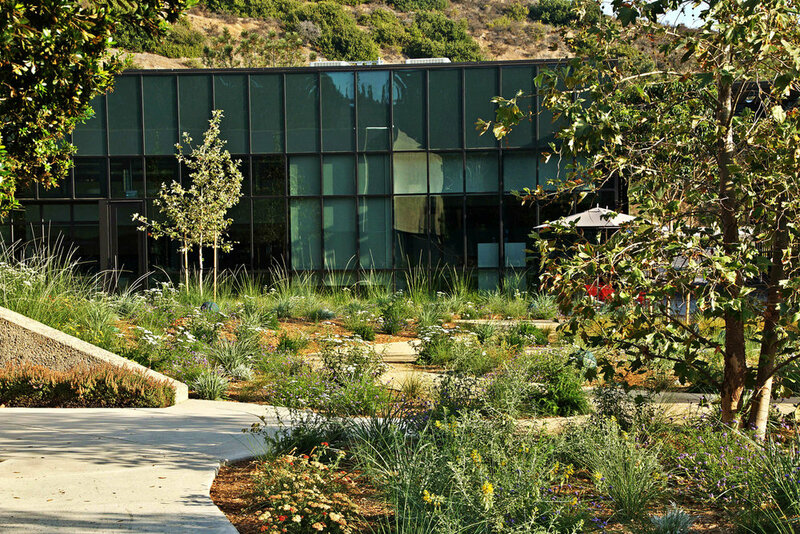 This berm doubles as a sound barrier and privacy screen to shield the courtyard from outside distractions. To complete Benjamin’s design, we planted sycamores and cottonwood trees to celebrate the native trees that inhabit riparian zones such as this one. Dramatic lighting, in-ground speakers and movable furniture all work together to make the courtyard an ideal functional space. At first glance, it resembles a wild meadow sprinkled with trees. 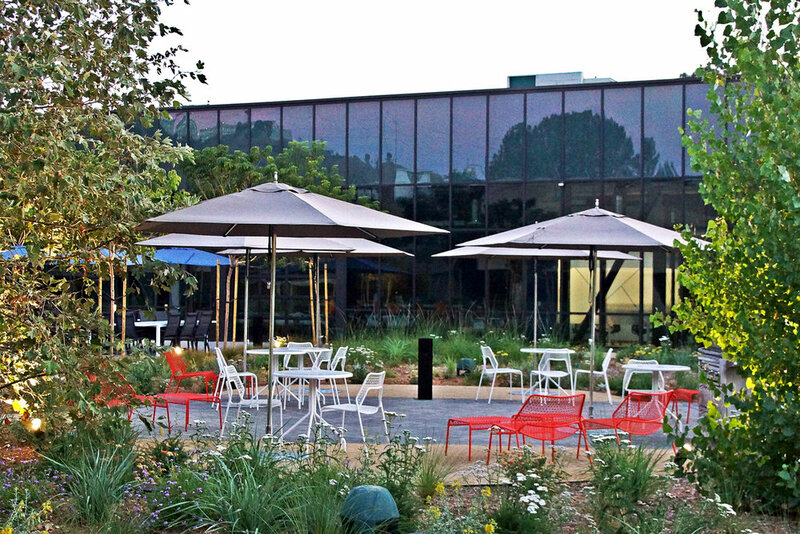 Wispy grasses, dappled sunlight and colorful flowers are the perfect medicine for employees to take in every day. A big “HELLO” to our fellow A/E/C professionals who will be coming to San Diego for the SMPS national Build Business conference beginning August 15 through 17. This is an unrivaled opportunity to network with marketing and business development individuals and to cultivate skills to improve and grow businesses by winning projects and nurturing loyal clients. We are proud to be Silver Sponsors and look forward to seeing old friends and meeting new ones.